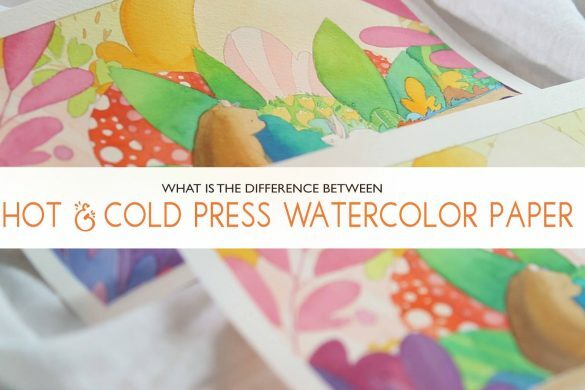 HOW ARE WATERCOLOR PALETTES CLASSIFIED? 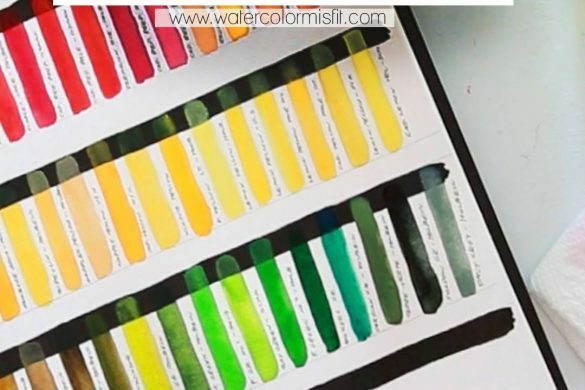 When looking at Watercolor Palettes, they are classified in 3 ways – SET UP, SIZE, & MATERIAL. Let’s talk about Set Up first. 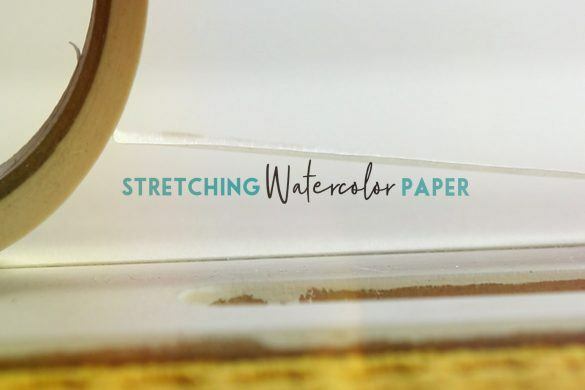 One thing you will find in common with all watercolor palettes is that they’re mixing surfaces are always white. The reason for this is pretty simple and self-explanatory. You see a white surface will help you while mixing colors to gauge whether you have the color hue or not. The next way palettes are set up is with wells and mixing areas. WELLS are referring to the place you actually store your paint. Deeper larger wells tend to be preferred by watercolor artists since it allows you to dip larger brushes into the well to retrieve the paint. The next way palettes are sorted is by…Size. 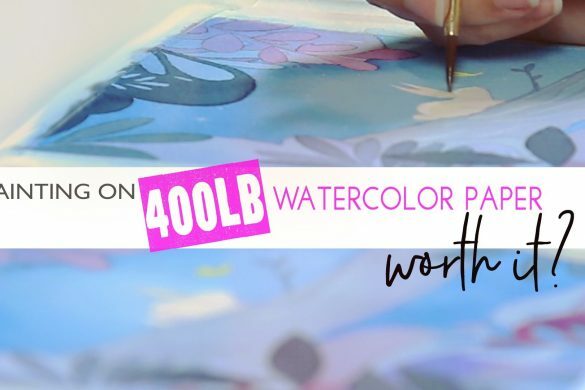 The smaller the size of your watercolor palette, as one would guess, the easier it is to transport it from place to place or paint outside of your home. The cons to this comes down to how small your palette actually is. This can make it difficult to mix paints and even store larger amounts of paint in your wells. Medium or large watercolor palettes usually have large mixing areas and larger wells to store your paints. But can be overwhelming when trying to paint in a small area or when traveling. Also, larger palettes tend to allow you to store LOTS of colors in one palette – which can be good but also a problem for the “newb” at watercolor. Here’s a little tip for you. 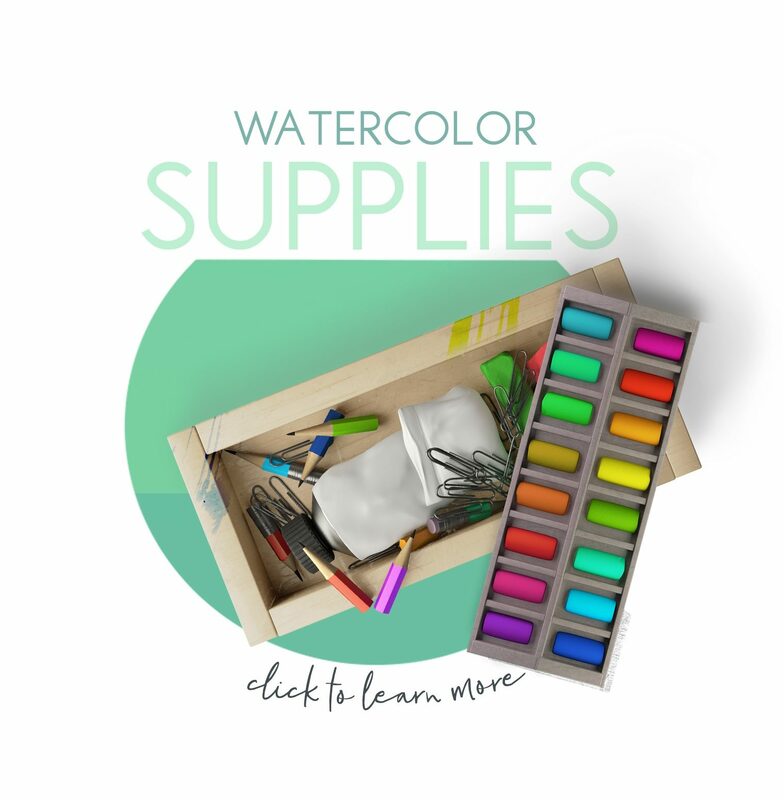 In order to achieve bright vibrant watercolor paintings – you really need to learn how to work with a limited color palette. What I mean by this, is learning to use a small amount of paint colors (let’s say 5 to 10) that work well together (also known as harmonious colors). Now, I want to clarify that I’m not saying “only use 5 colors in your painting but rather 5 to 10 paint colors on your palette for one painting”. You see with those 5 to 10 paint colors you can potentially make 50 to even 100 different color variations and values in your painting. 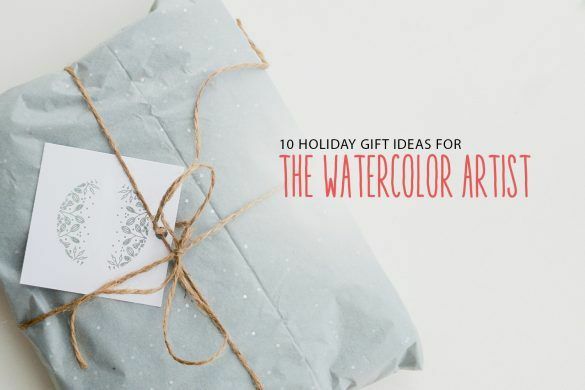 But since we are working with a limited color palette of paint – your illustration’s colors are more likely to be vibrant and less likely to become muddy. 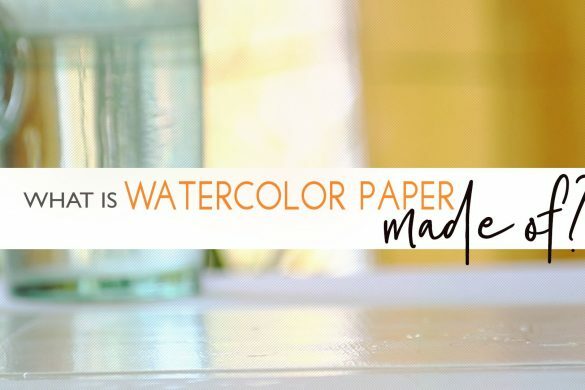 Another way watercolor palettes are classified is by….Material. 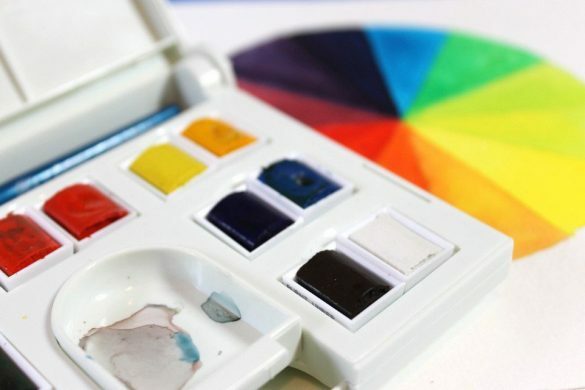 Watercolor palettes are sold in plastic, porcelain, and metal. For today’s video however, I’m only going to be talking about the two I’ve been in contact with which is: plastic and porcelain. Plastic Palettes are the least expensive option and the most widely available. The downside to them is that Plastic tends to not allow the paint and water mix or gel together. 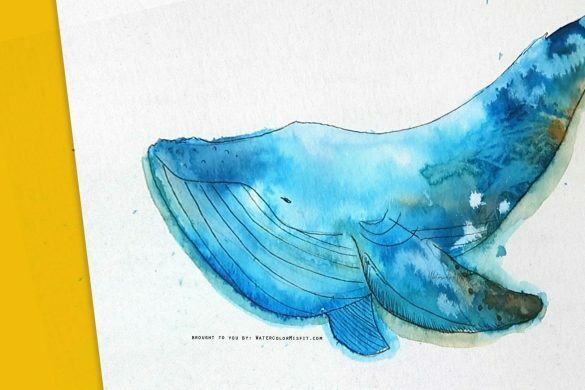 This is actually a HUGE hindrance when you are learning to mix and use watercolor. Your paint should kind of sit on the palette rather than coming apart or kind of disappear into small puddles. This is why many professional artists work with porcelain palettes which is the next option. Porcelain palettes as I’m sure you would expect, are more expensive due to the quality of material being used. Unlike plastic, porcelain allows the artist to work with their water and paint in a more controlled manner. Where it sits on the surface and sticks together – allows you to get a better read on mixing and the amount of paint to create. WHAT PALETTE DO I USE? As you probably guessed – since I didn’t show you a porcelain palette, I don’t own one. The palette I use and I recommend is this plastic palette that I got from Amazon for under $10. Yep you heard that right. 🙂 Of course, one day I would like to invest in a porcelain palette, but for now I make do with what I have. But how do I fix the mixing problem on my plastic palette? You can mix your paints on a porcelain plate from your kitchen which I’ve done for years. A new option which I just ran across a couple of weeks ago, was to take enamel spray paint and spray the inside of your plastic paint palette. As you can see this helps loosen up the paint and allows it to pool in my mixing area. These are both really cheap options for the palettes that help you get the most out of your painting experience. 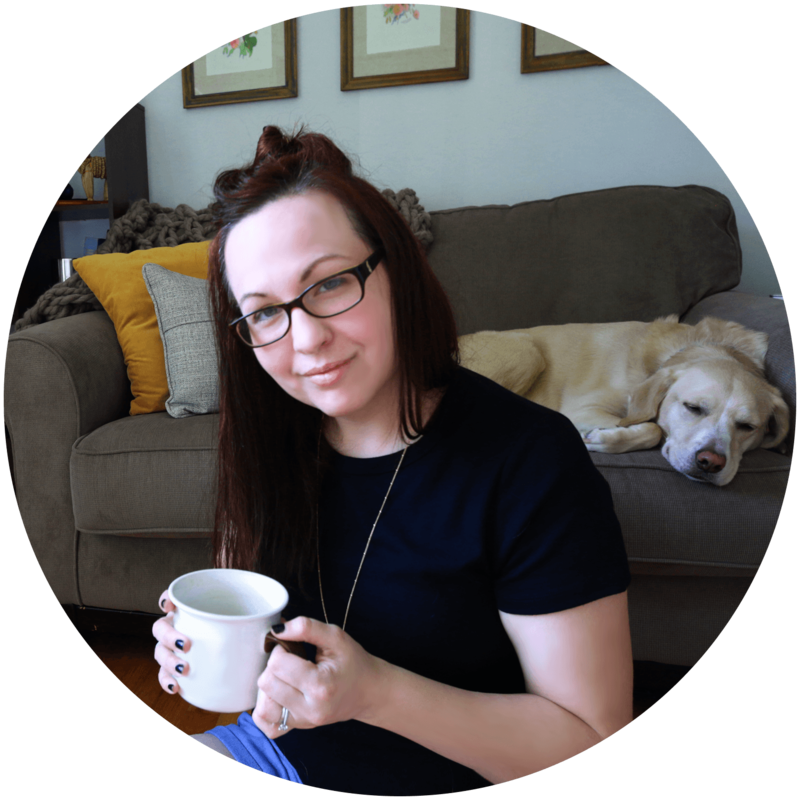 So, I hope this cleared up some things for you and perhaps you learned something new! …and As always Ya’ll, it’s been a pleasure and I will see you next time! 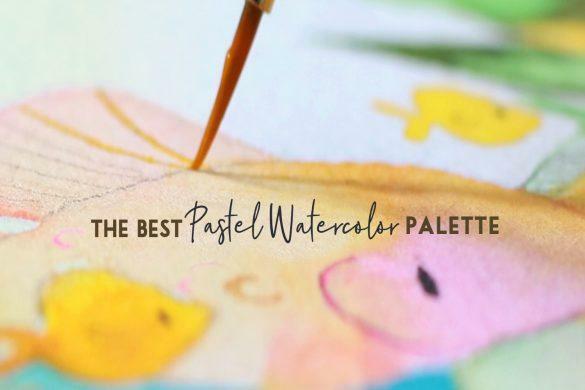 If you enjoyed this post, and would like to see a more recently updated one on “The Best Watercolor Palette” for me right now, see below. Now I can start to do my mixing chart! 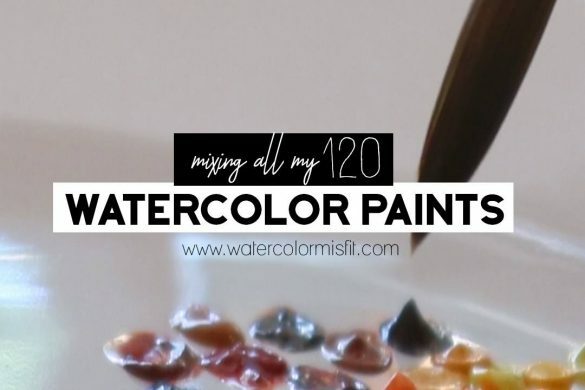 This series of whatercolor for beginners is helping me so much re-doing things I thought I’ve forgotten and back to the creative groove …so many time just used for job. Now I can have fun again ! Your posts are terrific for this rank beginner. Since retirement a few years back, I have collected a large array of plastic and porcelain palettes while attempting to discover what works best. While the porcelain versions definitely allow the paint and water to blend, they are extremely heavy and cumbersome. Lucky to have an old drafting table to use as a workspace, the large porcelain versions take up a lot of space and are difficult to shift. I have a single large (and expensive) example loaded with paint still out. The smaller porcelain palettes don’t allow enough mixing space to be useful and so have been relegated to the bookcase to look artful. I’m thinking of picking up an enamel baker’s tray. Those seem to provide a large, friendly mixing space without the accompanying weight of porcelain. While they don’t have individual spaces for paint, in my case this is probably a good thing. There are at least a half dozen plastic palettes spread around the sunroom already loaded with paint! The moral = don’t rush out to purchase porcelain unless you have the space to contend with size and weight. Thanks, again, Carrie. Love your energies and your clear stated comments. Hope to keep coming back and learning. Thanks!